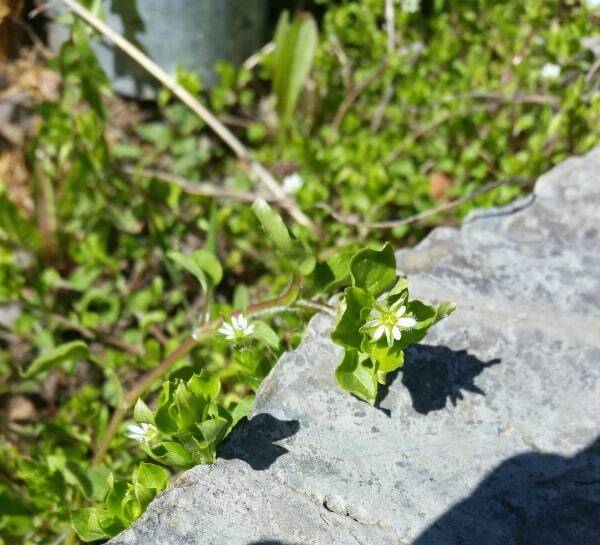 Chickweed is a delicate little plant that is almost easy to ignore. Its long, thin stems with tiny white flowers grow most anywhere and can be quite prolific. It's a considered a weed by many, but I have this little wild patch that grows right next to my porch and I treasure it and the bounty it provides. 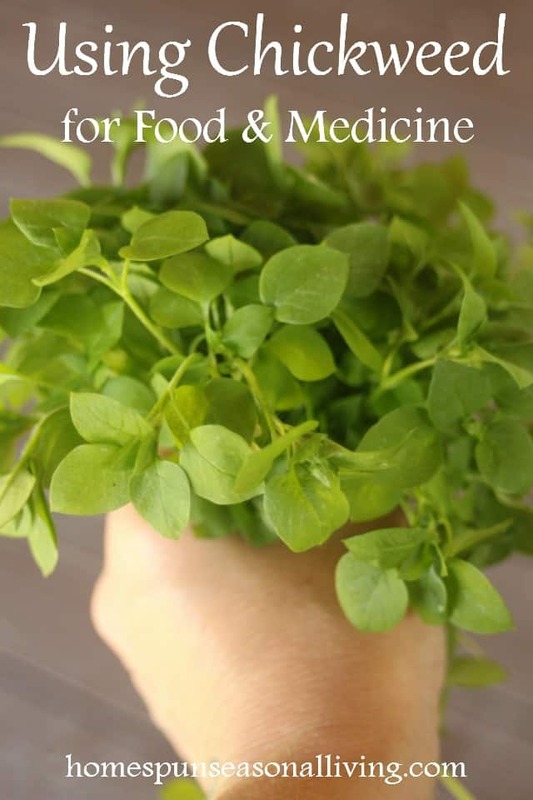 Use chickweed for food and medicine in your home with one of these easy methods. Chickweed is a sprawling plant. Look for tiny green leaves with stems that have tiny white hairs. The white flowers have 5 petals, though they tend to be deeply notched and can appear to be 10 petals upon first glance. Chickweed is high in calcium, iron, and magnesium, as well as Vitamins A & C. It's packed with nutrition but admittedly the flavor can be a bit bland on its own but there are some great ways to include it in the meal rotation. Salads – Combine chickweed leaves and flowers with other greens for addition to salads. Pick the young, tender leaves because as the summer wears on the stems tend to get a bit stringy in texture. Smoothies – Because chickweed is a bit bland, adding it to fruit smoothies increases the nutrition factor without getting in the way of any fruit flavors. Pesto – Chickweed makes a delightful and easy pesto. Make a bunch when the chickweed is plentiful and freeze it for tasty chickweed meals even in a snow covered landscape. Much like plantain chickweed can be used to help soothe sunburn and bug bites. Simply put some fresh leaves directly on the wound. Mix fresh chickweed with vinegar to use in bath water to help relieve itchy skin. Chickweed has many cooling properties making it an ideal tea to drink when the body is fighting off rashes like those from poison ivy and other allergic reactions. There's an old-wives tale that connects chickweed to obesity and weight loss. Indeed, it is sometimes featured in certain weight-loss formulations. There is some scientific evidence behind this, chickweed is high in saponins which can help flush fat and other toxins from the body. It also supports the kidneys and acts as a mild diuretic meaning it can reduce water weight and when water is properly regulated in the body, the metabolism is usually functioning normally. Chickweed can also help relieve dry coughs, so drink it in tea when it's fresh or make a tincture for winter. A flower essence made from chickweed is said to help us release the past and focus on the present. Chickweed does not dry well, Rosemary Gladstar recommends making a tincture to preserve chickweed for medicinal uses. 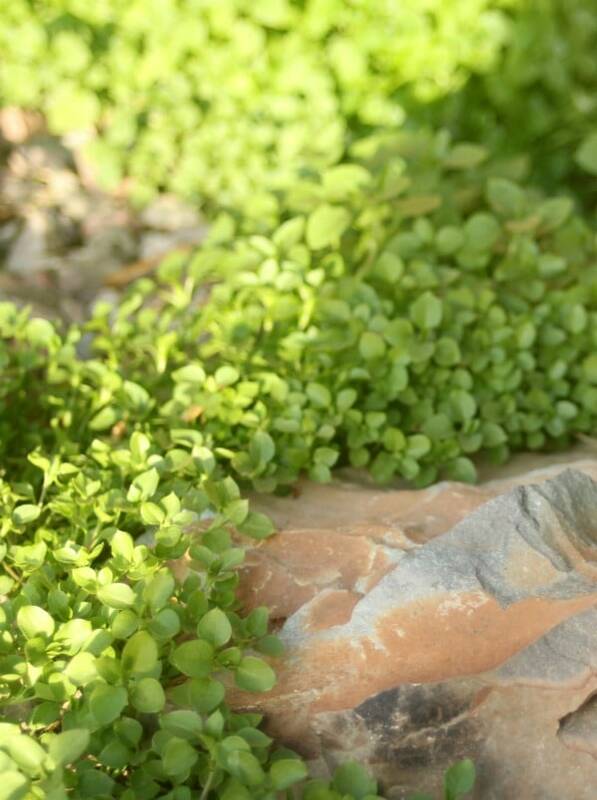 Freeze chickweed to use for cooling applications on the skin and for smoothies. Chickweed is generally considered safe for everyone, though when eaten in large quantities it can have a laxative effect. With that little caveat aside, do go out and forage some chickweed for food and medicine this spring and summer. Do you have a favorite way to use chickweed? I have dried chickweed. it just looks like a flat version of it. I wonder how you can make a flower essence from it since the flowers are so tiny! I love chickweed, and always feel guilty when I pull it out – I have a large chickweed patch that always stays, I call it my “chickweed garden”, but the rest is too much. It was the first plant my youngest daughter learned to use for her owies. And it tastes so yummy! I just made some chickweed pesto sauce…. it turned out great! I have gotten some dried chickweed as I had a practitioner tell me it helps the immune system (I have hashis) – I like it in an infusion with pleasant tasting herbs! We have a ton on our property, I haven’t yet ventured to use it for my family but my chickens go crazy for it. I happily give them a heap of it and they chow down. According to Rosemary Gladstar it just doesn’t hold up well in the dehydrating process and I’ve always just taken her word for it. I just freeze it chopped in ice cube trays. So say 1 teaspoon of chopped chickweed in an ice cube square, fill with water.